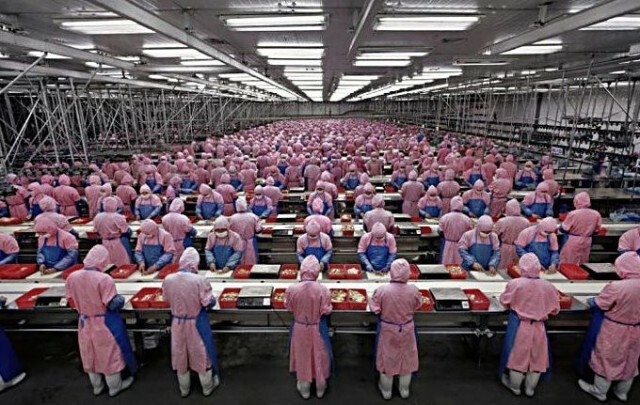 In the wake of the news concerning the 15-year-old employee who died after working on the iPhone 5c production line, Apple supplier Pegatron has revealed the high tech measures it goes to in order to avoid hiring underage workers. According to Pegatron, the Taiwanese manufacturing firm has been employing facial recognition technology since earlier this year to screen for such an occurrence. Pegatron says applicants for jobs on its assembly line have their government-issued IDs checked for authenticity — with their faces matched to their ID photos using facial recognition tools — which can uncover those who are using borrowed ID cards. Names are also checked against police records. Both Pegatron and fellow Apple supplier Foxconn have struggled with accusations of employing underage workers. In 2012 Foxconn admitted to using interns as young as 14. In the case of 15-year-old employee Shi Zhaokun, Pegatron is claiming that he was able to get around the facial recognition technology checks by obtaining a government-issued ID card which included his photo but another person’s identifying information. “We have an excellent track record of compliance with laws aimed at preventing underage labour,” Pegatron company spokesperson Charles Lin has noted.